born in Catalonia, Spain, lives and works in London. 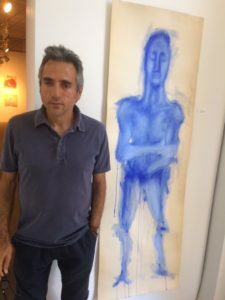 As an artist Manel has managed to give his anxieties and fears visual expression; to put them out into the world in an objective form, and thus master, rather than be mastered by them. Many of his earlier pieces were made from fragile and perishable materials, such as fruit and paper, or syringes, bedsprings and rumpled sheets to emphasise the precarious nature of life and love. 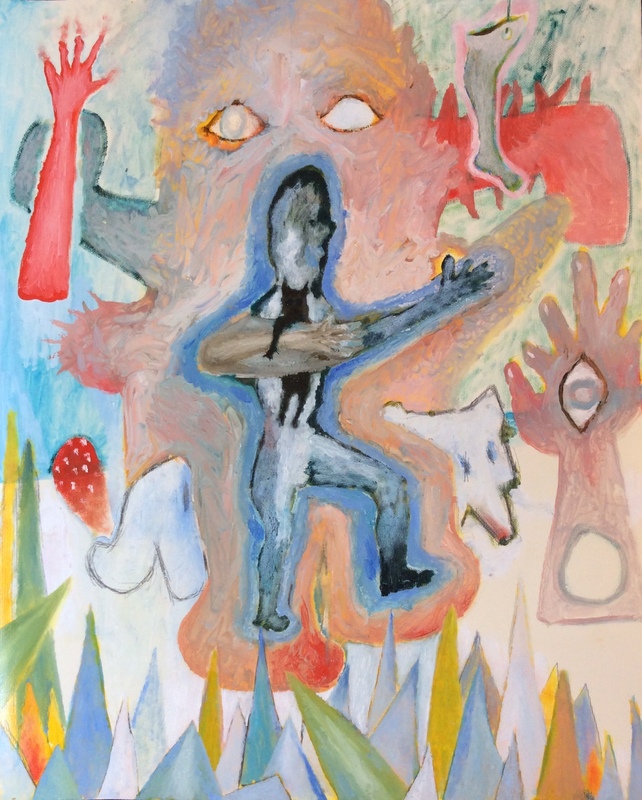 Now Manel spends more time painting rather than using mixed media, to express the feelings of fear, loneliness, submission and perhaps frustrated eroticism, exploring the power of artistic expression as a productive force for life and creativity in the face of its negation. One of his great skills is as a portrait painter; his empathy with the sitter causes him to make choices of colour and mood which go beneath the surface; his subject is revealed at a deeper level and the effect is both a shock and a recognition of subtle observation. Manel's reaction to the sitter is instinctive; he has an immediate and often surprising sense of a necessary composition and colour scheme. Manel is continually his subject matter. 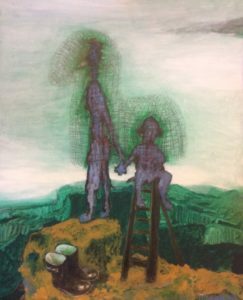 Sometimes he makes quick sketches of landscape from nature, at others he portrays haunting images that he draws out from deep within him. Being an excellent master of his craft he is inspired also by great painters of the past; sometimes he will make a version of an old masterpiece, transformed by his modern sensibility and ever-enquiring mind into a searching work of today. He is untroubled by notions of realism or abstraction; he moves easily between the two according to his inspiration of the moment or the subject matter before him. He is a painter who does not stand still; he is never self-satisfied, and his artistic nature constantly draws him to explore new horizons. He is not a painter of decorative effects; rather he tries to express without flinching true and intimate experience.